Our community events offer a wide variety of opportunities for businesses and organizations to partner with us to promote your business and support your community. Contact us today to learn about how you could become a partner of one of our many community events. The annual Ellensburg Winterhop Brewfest is a one-of-a-kind festival that invites breweries from around the Pacific Northwest to pour their beers in various downtown business and venues. This snow-or-shine event gives beer lovers access to the best PNW brews, local music, and downtown venues in Central Washington. 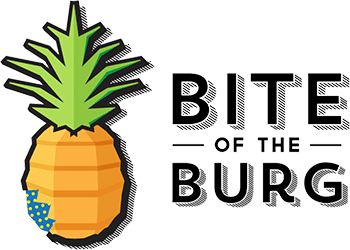 Join hundreds of beer enthusiasts on the third Saturday of January; tickets go on sale the first business day of December. Tickets are $45 and include a souvenir glass and (5) five tastings. This is for individuals 21 years of age and older. Cheers! Celebrate Independence Day in the Upper Kittitas County! ​Pioneer Days includes a Grand Parade, Pioneer Village, and appreciation of the Upper Kittitas County's heritage and cultures right in downtown Cle Elum, Washington. Enjoy numerous activities including bocce ball tournaments, heritage festivals, and high tea with the 2018 Pioneer Days Queen. Take a stroll down First Street to enjoy local restaurants, pubs, and shops! Kruisin' Kittitas takes place on Main Street in Kittitas, Washington. Get ready for an amazing judged car show with nine awards! Soak up the sun during the parade and enjoy the local eateries, bars, and wine tasting room to cool off. There's plenty of activities for the kids, and of course, the renowned three-division burnout competition! 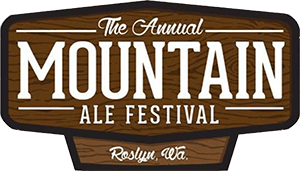 Established as a way to celebrate ten great years of the wildly successful Ellensburg Winterhop Brewfest in 2013, the Mountain Ale Festival in Roslyn has gained popularity for its intimate setting and promotion of Washington State breweries. Rain or shine (often rain, we'll bring the tents), join us the second Saturday of October on Pennsylvania Avenue for good brews and good company. Afterwards, don't miss the opportunity to visit a world-famous historic bar, local eateries, and artisan shops. 2018 tickets available now! Spark your holiday spirit in Downtown Cle Elum, Washington on the first Saturday of December. Santa's Village is full of fun-filled activities for the whole family, as well as vendors with unique gifts, sweet treats, and warm drinks. Cozy up for the Christmas Lighted Parade on First Street from Bullit to Oakes Avenues. Better be nice, Santa is sure to be around!